Stationery Fever, ISBN: 9783791382722 - available from Nationwide Book Distributors Ltd NZ. This beautifully designed book shows how the seemingly mundane objects that populate desks and cubicles everywhere are now being re-imagined as collector’s items. And as today’s trendsetting artists and designers are increasingly returning to non-digital techniques and methods, letterpress stationery, typewriters, and ink pens have developed the cache of vintage fashion and cars. 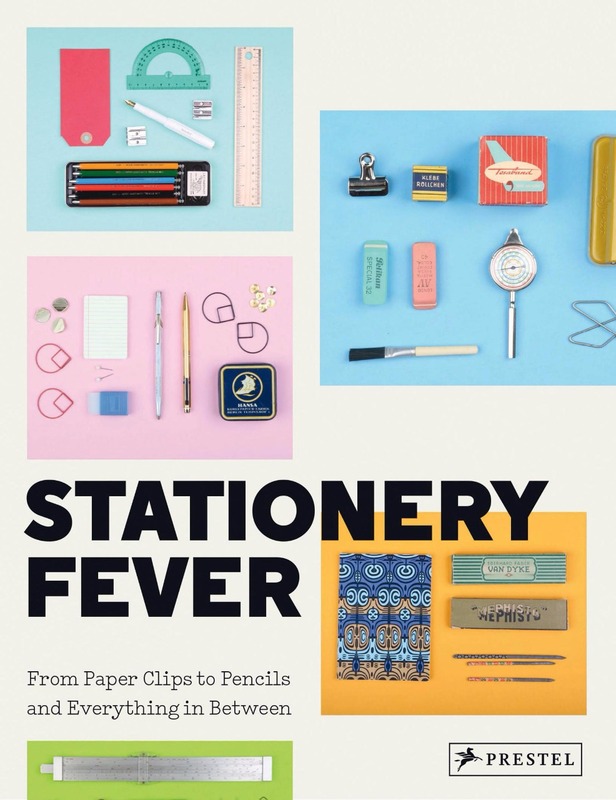 Stationery Fever showcases the plethora of retro and fine office goods being produced and sold around the world. Organized like your favorite stationery store—pencils, pens, notebooks, erasers, greeting cards, school supplies, etc.—it features exquisitely photographed objects that transcend the decades since laptops took over most of our office needs. Each chapter highlights distinct objects and features a store that specializes in that category. Along the way, readers will learn the history of the lined notebook, the proper way to sharpen a pencil, and the story of how postcards came to be. Whether you’re stuffing a college backpack or decorating your home office, this book will appeal to lovers of lo-fi and bespoke objects alike.